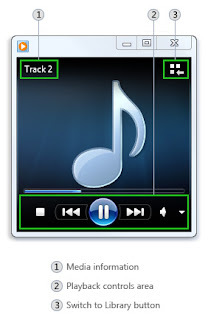 Windows Media Player provides an intuitive, easy-to-use interface to play digital media files, organize your digital media collection, burn CDs of your favorite music, rip music from CDs, sync digital media files to a portable device, and shop for digital media content from online stores. 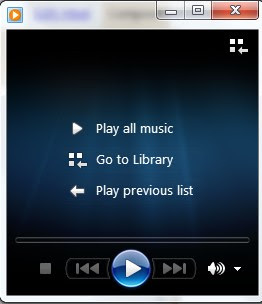 To start Windows Media Player, click the Start button , click All Programs, and then click Windows Media Player. 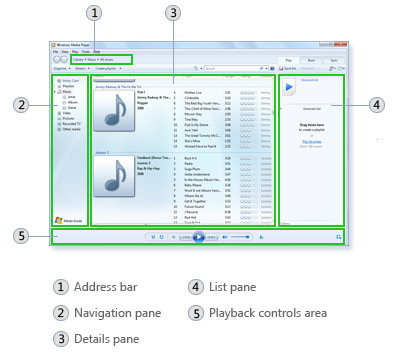 With the Keyboard shortcuts we can quickly perform actions in Windows Media Player. These Keyboard shortcuts works only in Now Playing mode or in Player Library. Tags: Microsoft Windows media player 12, WMP 12 shortcuts, Windows media player 12 all shortcuts, Microsoft windows media player keyboard shortcuts.